"The BJP's victory in the 2019 Lok Sabha elections will pave the way for the party's rule for the next 50 years," Amit Shah told BJP workers. Amit Shah said the Congress party should first make clear who is its leader is. BJP president Amit Shah on Tuesday urged party workers to ask people whether they wanted Congress chief Rahul Gandhi as prime minister, Mamata Banerjee as foreign minister and Mulayam Singh Yadav as defence minister. 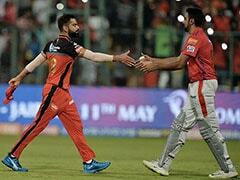 "You need to tell people about this," Mr Shah said during a one-day trip to the Rajasthan capital. Mr Shah said the Assembly polls later this year in Rajasthan and some other states are a "trailer" for the 2019 Lok Sabha elections. "If the people do not like the trailer, would they like the movie?" he said at one of the meetings. "The results from the three major states of Rajasthan, Madhya Pradesh and Chhattisgarh will set the trend for the 2019 Lok Sabha elections," he said. He claimed the Congress has tried to create a state of confusion in the country, and referred to lynching of Mohammed Akhlaq in Dadri over alleged cow slaughter and the 2015 protest in which a group of writers returned their awards. "During elections, issues like Akhlaq or 'award wapsi' come up," he said. "The BJP had won elections when the Akhlaq issue and award wapsi happened and the party will win this time too even if they (Congress) bring up some other issue," he said. "The Modi government or the Vasundhara Raje government has done nothing that you need to bow your head," he said. Amit Shah again backed the National Register of Citizens for Assam and criticised the "freedom" given to "urban naxalites". He said the workers should think only about the party symbol 'lotus' and Bharat Mata when they campaign. He said the 'mahagathbandhan', or the grand alliance, that the opposition is talking about will have no impact except a little influence in Uttar Pradesh. Amit Shah said the workers should ask people what they felt about having Congress president Rahul Gandhi as prime minister, West Bengal Chief Minister Mamata Banerjee as external affairs minister and Samajwadi Party's Mulayam Singh Yadav as defence minister. "You need to tell people about this. Go to the public and highlight the work done by the PM Modi and the Vasundhara Raje governments," he said. He said no one can defeat the BJP in Rajasthan. Targeting Congress, the BJP president said the party should first make clear who is its leader and what are its policies and programmes. "Rahul Baba has the right to dream but he will wake up on the day of counting," he said. Amit Shah said every party worker should cover at least five villages till the elections and tell people about the work done by the government, like the surgical strike against Pakistan and the increase in minimum support price for farm produce. This is Amit Shah's third visit since July to the poll-bound state ruled by the party. 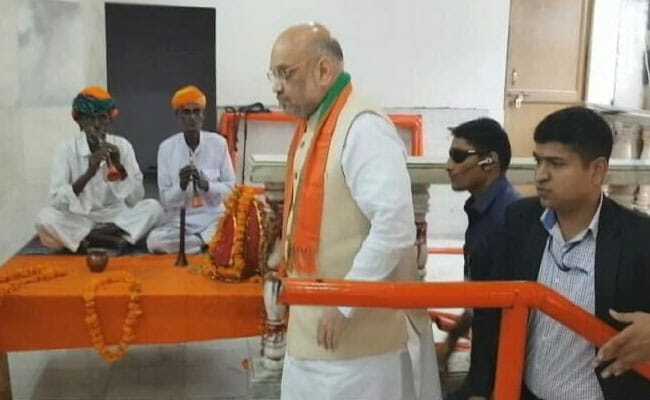 Vasundhara Raje was in Churu and Ratnagarh, on her ongoing Rajasthan Gaurav Yatra, when Amit Shah visited Jaipur on Tuesday. BJP's Dharmendra Pradhan Calls BJD's Naveen Patnaik A "Merchant Of Lies"